As a result of recent developments in patent legislation, jurisprudence and improved court procedures designed to facilitate fast and effective litigation, Canada has been receiving international attention from patent owners and practitioners. Canadian courts have recognised the need to create an environment for timely and efficient disposition of civil litigation. Over the past several years, the Federal Court, where most patent proceedings are commenced, has implemented a number of procedures to permit litigants to achieve quick and cost-effective results. This has included implementing court procedures that assist in having matters progress to trial in a timely and efficient manner, including proactive case management and imposing limitations on the discovery process. Additionally, the Court has also adopted new summary trial provisions to facilitate the summary disposition of proceedings on issues that do not require a full trial on the merits. in the Federal Court, jury trials are not available and as such patent actions are decided by the trial judge alone. The Canadian Patent Act provides the ability to obtain a patent, which provides protection for an invention across Canada.2 Canada does not have other forms of protection such as regional patents, utility models or short-term patents. A patent is obtained by filing a patent application with the Canadian Intellectual Property Office (CIPO). The patent application is examined by CIPO, and if it is determined that the requirements of the Act have been met, the application issues to patent. An action is commenced by the plaintiff filing a statement of claim, setting out the material facts that support the action and the relief claimed. In response, the defendant must file a statement of defence. A reply may be filed by the plaintiff in response to the statement of defence. In the statement of defence and reply, the party must admit or deny the allegations set out by the other party and plead any additional relevant material facts upon which the party intends to rely. The pleadings can also include a counterclaim by the defendant (e.g., a claim seeking to expunge the patent), a cross-claim between defendants or a third-party claim by the defendant against a party not previously named in the proceeding. Evidence relevant to patent proceeding is obtained through the discovery process. The first step is documentary discovery, wherein each party must list all relevant documents in its possession, power or control. All non-privileged documents must be produced to all adverse parties. After documentary discovery, each party is permitted to conduct an oral examination of a representative of each adverse party. The representative must answer any relevant and proper question based upon the information of the party. In the Federal Court, a party that is adverse to the patentee is also permitted to examine the inventors of the patent. All patent actions in Canada are heard and decided by a judge alone. The plaintiff bears the onus of proving infringement. However, a patent is prima facie valid so the defendant bears the onus of demonstrating invalidity. The standard of proof in patent proceedings in Canada is a balance of probabilities. Evidence is submitted at trial by testimony of witnesses, by the admission of documents or by reading in the testimony of an adverse party on oral discovery. Expert evidence is admissible in a patent proceeding in Canada provided that the party who calls the expert produces an expert report setting out the expert's evidence in advance of trial. Is there a serious question to be tried on a preliminary assessment of the merits of the case? Will the plaintiff suffer irreparable harm if the injunction is refused? In a patent infringement action, a defendant will typically attack the validity of the patent as part of its defence, and if the action is in the Federal Court, the defendant will also typically counterclaim seeking to expunge the patent. 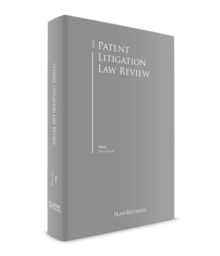 Patent proceedings in Canadian courts typically take between two and four years from the commencement of the proceeding to judgment, and cost C$0.5 million to C$1 million or more depending on the complexity and number of issues in the proceeding. The Federal Courts Rules include summary trial and summary judgment motion provisions which aim to facilitate the summary disposition of proceedings on issues that do not require a full trial on the merits.18 These may be particularly appropriate in cases where the cost taking the matter to trial as a regular action could well exceed any monetary award that would have accrued and where the parties have worked together to narrow the issues in dispute.19 There are also summary default proceedings that are available should a defendant not respond to the commencement of an action within the time limits provided. At any time three years after the grant of the patent, any person interested may apply to the Commissioner of Patents alleging that there has been abuse of the exclusive rights granted by the patent, and request relief.30 The remedies available in such a proceeding include the grant of a compulsory licence or revocation of the patent.31 The exclusive rights under a patent are deemed to be abused in certain circumstances enumerated in the Patent Act, although abuse may not be restricted to only those grounds.32 The abuse provisions have not been extensively used in Canada. The definition of 'invention' includes the requirement that the invention be 'useful', and thus it must have utility.59 The Patent Act does not prescribe the degree of usefulness required but Canadian courts have held that a scintilla of utility will suffice. 'Double patenting' is not contained in the Patent Act but is a common law doctrine to prevent the improper extension or 'evergreening' of the term of a patent by a series of patents for the same invention.68 The doctrine is used in situations where the earlier patent is not citable as prior art for anticipation or obviousness. Generally speaking, both pre- and post-judgment interest is awarded on monetary awards by Canadian courts. The successful litigant (plaintiff or defendant) is typically awarded its 'costs', which consists of a portion of its attorney's fees and all reasonable disbursements. In exceptional circumstances, full or substantial indemnity for actual attorney's fees may be awarded. The Federal Court and each provincial or territorial court system have their own appellate courts. An appeal to the Federal Court of Appeal is available as of right from any interlocutory or final order of the Federal Court. In some provincial court systems, leave is required to appeal interlocutory orders. The Supreme Court of Canada hears appeals from the Federal Court of Appeal and provincial appellate courts. For patent proceedings, leave to appeal to the Supreme Court of Canada is required. Generally, a mere 'scintilla' of utility is required to meet the requirement under the Canadian Patent Act. 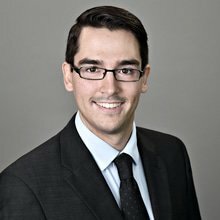 In June 2017, the Supreme Court of Canada struck down the 'promise of the patent doctrine' in AstraZeneca Canada Inc v Apotex Inc.117 The promise doctrine held that where the patent specification sets out an explicit 'promise' of a specific result in clear and unambiguous terms, the utility requirement would only be met if that promise was fulfilled.118 The Supreme Court concluded that it 'is not the correct method of determining whether the utility requirement under Section 2 of the Patent Act is met'; 'it is not good law' and is 'unsound'. Rather, courts must follow a two-step analysis: first, courts must identify the subject-matter of the invention as claimed in the patent; second, courts must ask whether that subject-matter is useful – that is, is it capable of a practical purpose (i.e., an actual result)? The Supreme Court emphasised that a single use related to the nature of the subject-matter is sufficient, and that the utility must be either demonstrated or soundly predicted as of the filing date of the patent application. The Federal Court of Appeal recently applied this new approach in Bristol-Myers Squibb Canada Co v Apotex Inc.119 Bristol-Myers Squibb (BMS) had obtained two patents with respect to its new drug dasatinib, marketed as SPRYCEL and used for treating chronic myelogenous leukemia. One of those patents, Canadian Patent No. 2,366,932 (the '932 patent), contained a claim to the compound itself, which Apotex alleged was invalid for want of utility. The Federal Court had identified three promises made in the patent, and had concluded that BMS had data supporting only the first assertion, such that BMS had 'not met the burden to show that the entire overarching promised utility was either demonstrated or soundly predicted at the relevant date'.120 On appeal, the Federal Court of Appeal acknowledged that the Supreme Court of Canada had abolished the promise doctrine after the Federal Court had rendered its decision, and proceeded to apply the new two-step test for utility. First, the Court of Appeal established that the subject-matter of the impugned claim was merely the compound dasatinib itself – not its potential therapeutic uses. Second, the Court of Appeal determined that BMS had met the utility requirement by demonstration, as it was conceded that BMS had provided data showing dasatinib's inhibition of Src-family PTKs (the first promise identified by the applications judge). Importantly, the Court of Appeal had no doubt that establishing that a compound has the ability to inhibit a biological target implicated in disease was a useful discovery – it represented an important advance and met the minimal utility requirements established in Esomeprazole. Accordingly, the Court of Appeal allowed the appeal regarding the '932 patent and issued an order prohibiting the Minister of Health from issuing a NOC to Apotex for its generic version of dasatinib until expiry of the '932 patent. By contrast, the recent decision in Safe Gaming System v. Atlantic Lottery Corporation – a dispute regarding the assertion and validity of a patent for software to serve as a control interface between individuals and online gaming sites – provides an example where the utility requirement was not met. The Federal Court first observed that utility is assessed based on the whole patent, rather than on a claim-by-claim basis. More importantly, the court found that the basic utility argued by the patentee was not useful as it was not related to the nature of the subject matter, which is to monitor, regulate and terminate play of problem gamers. The asserted utility was too general: at the time of filing, a skilled person could not have applied the teachings of the patent to mitigate problem gaming, as very little was known about it at the relevant time. The court concluded that the skilled person would not be able to program a computer to do what the patent said it could, so that the patent failed the Esopremazole test for utility. At the fourth step of the obviousness analysis, the question is whether the differences would have been obvious to persons skilled in the art or whether they require any degree of invention – not whether they are more or less self-evident. The Federal Court of Appeal found that this oversimplification was an erroneous formulation of the obviousness framework and undertook to repeat the analysis itself. The Court of Appeal also stressed that when identifying the inventive concept, emphasis must be on the claims, commenting that the search for the inventive concept had brought considerable confusion into the law of obviousness and suggested that 'until time as the Supreme Court is able to develop a workable definition of the inventive concept', simply construing the claim would reduce uncertainty and would prove more useful to the parties and the court. However, in Apotex Inc v Shire LLC,126 a decision regarding Shire's drug VYVANSE approved for treatment of ADHD and Binge Eating Disorder in adults, the Federal Court found that the inventive concept in that case could be grasped without difficulty: 'a sustained release formulation of a therapeutically useful dose of amphetamine that is resistant to abuse'. Therefore, there was no need to pursue the alternate course of claim construction. The Court also observed that the Ciba case could not be understood to have overruled the Supreme Court's iteration of the obviousness test in Sanofi-Synthelabo.127 The Supreme Court has not had an opportunity to consider this issue since Federal Court of Appeal decision in Ciba. In Janssen Inc v. Teva Canada Ltd,128 the Federal Court of Appeal dismissed Teva's appeal from the Federal Court's decision regarding the quantification of damages resulting from Teva's infringement of Janssen's patent. Both Janssen Inc (Janssen Canada) and Janssen Pharmaceuticals Inc (Janssen US) claimed damages arising from the infringement. Janssen Canada was a licensee under the patent in issue whereas Janssen US was a supplier of the licensed products sold in Canada by Janssen Canada. The Federal Court of Appeal also found that the Federal Court did not err in identifying which scenario best represented what would have happened in the 'but for' world, namely that damages arising from the infringement could extend beyond the expiry of the patent (in this case two months for losses of retail sales and one year for losses of hospital sales) and from losses caused by price suppression based on evidence that Janssen Canada had lowered its prices to compete with the infringing products. Likewise, the Court of Appeal found that the Federal Court did not err in finding that Janssen had taken appropriate steps to mitigate its loss (as is the duty of the party claiming damages). The Court of Appeal noted that in case of doubt, the plaintiff's good-faith efforts to overcome difficulties caused by the defendant's wrongdoing should not be examined too critically. Finally, the Federal Court of Appeal confirmed the C$1 million in costs awarded to Janssen by the Federal Court, noting that the Supreme Court has affirmed that 'costs awards are quintessentially discretionary' and that they should only be set aside when they result from an error in principle or are plainly wrong, neither of which was shown in this case. The award was not considered excessive in light of the large number and high complexity of the issues raised, as well as the judgments resulting from the 10-day trial, which totalled over C$18.8 million in damages. In two recent decisions in Dow Chemical Company v. Nova Chemicals Corporation,130 the Federal Court awarded monetary remedies totalling over C$645 million, the largest reported award in a patent infringement action in Canada. In rendering its decisions, the Federal Court considered a variety of issues relating to the quantification of monetary remedies. During the liability phase of the action, Dow's patent for polyethylene compositions used in packaging applications was found valid and infringed by Nova's SURPASS products. As a result, Dow was awarded a number of remedies, including an election between damages and an accounting of profits. Dow elected for an accounting of Nova's profits. Dow claimed that Nova's infringing activities provided Nova with a 'springboard' into the market. Based on the evidence, the Federal Court was satisfied that in the hypothetical 'but for' world where Nova did not enter the market until after the expiry of the patent, it would have taken approximately 20 months for Nova to attain the same level of sales of its SURPASS products that Nova enjoyed in the real world. As such, the Federal Court concluded that the profits obtained by Nova for the 20-month period after the expiry of the patent ought to be included in the accounting of profits. The Federal Court also considered issues relating to the costs that Nova should be permitted to deduct from its revenues in an accounting of profits. Two primary issues were considered. The first related to the appropriate measure of the cost of ethylene, a key component of the infringing SURPASS products. Nova asserted that it was entitled to deduct the 'economic value' of the ethylene measured by the average price that Nova sold ethylene to third parties. The Court found that Nova was only entitled to deduct its actual costs incurred to manufacture the ethylene since the ethylene was not sold by Nova, but rather was used to manufacture the infringing products. In so concluding, the Court noted that Nova's position would result in deduction of a 'theoretical cost' that had not been actually incurred. The second issue related to whether non-incremental fixed costs and capital depreciation expenses could be deducted from Nova's revenues. In considering this issued, the Court noted that there are several recognised approaches for an accounting for profits, namely, the differential profit approach, the incremental cost approach and the full cost approach. Nova asserted that the full cost approach was appropriate in the circumstances of this case because there were no direct non-infringing alternatives and its incremental costs would be negligible, such that the incremental costs approach would result in an inequitable outcome. The Court ultimately concluded that Nova should be entitled to deduct a proportion of certain of its claimed fixed costs and capital depreciation expenses related to the production and sale of the infringing products. In Canada, the Currency Act131 provides that a monetary judgment must be in Canadian dollars. In this case, Nova's profits from the sale of infringing SURPASS products were largely earned in US dollars. As such, one of the issues was the appropriate date to convert US-dollar profits to Canadian dollars. The Court held that since the evidence supported that Nova's profits were primarily retained in US dollars, the date of conversion into Canadian dollars should be the date of the judgment. As a result of its obligations under Canada-European Union Comprehensive Economic and Trade Agreement (CETA), Canada has recently made amendments to the Patent Act and implemented new regulations that will have significant implications on the pharmaceutical industry in Canada. A new right of action following receipt of a notice of allegation, for a declaration of infringement of all claims of any patent that is the subject of the notice of allegation (formerly PMNOC proceedings were brought by way of a summary application procedure, and only the claims eligible for listing could be asserted). As such, PMNOC proceedings will now proceed by way an action, including full documentary and oral discovery. Proceeding by way of action affords both parties an equal right of appeal (under the former application procedure, if the first person lost at first instance and the Minister of Health issued the NOC to the second person, an appeal by the first person was rendered moot). Proceeding by way of action also does away with duplicative proceedings. Previously, the losing party in the application could bring a subsequent action for infringement or impeachment of a patent. The amendments also introduce a right of action against the second person for unlisted patents any time after receipt of a notice of allegation. Prohibitions against a first person from bringing an action outside the Regulations for a listed patent that is the subject of a notice of allegation, unless the first person did not have a reasonable basis for bringing the action within the 45-day deadline to respond to the notice of allegation. As referenced above, the first person may be liable to the second person for any loss suffered as a result of the delay in issuance of the NOC if the proceeding is unsuccessful (discontinued, dismissed, or reversed on appeal). Under the regime prior to the amendments, the end date for such damages was explicitly limited to the date of discontinuance, dismissal, or reversal, which precluded certain types of damages, such as permanent loss of market share. The new provisions no longer include express limits the end date for damages. However, the amendments also introduced the ability for a first person to renounce the application of the 24-month stay that would preclude any such liability. In Apotex Inc v Shire LLC,134 Shire's application under the pre-amended PMNOC Regulations for an order prohibiting the Minister of Health from issuing an NOC for Apotex's generic version of lisdexamfetamine (LDX) was consolidated with Apotex's action seeking a declaration of invalidity and non-infringement of Shire's patent (the impeachment action), and Shire's counterclaim for infringement. The validity analysis in this case was applied equally by the Court to Apotex' action for impeachment and Shire's application for a prohibition order. The Court found that the patent was valid, and dismissed Apotex' action for impeachment. The Court also found that Apotex' generic version of LDX infringed the asserted claims of Shire's patent, and granted Shire's application for an order prohibiting the Minister of Health from issuing an NOC for the generic version. However, the Court dismissed Shire's counterclaim for infringement in respect of Apotex's prior manufacturing and retaining of its generic capsules because Apotex benefited from the experimental and regulatory use exception in respect of those activities, as recognised in Sections 55.2(1) and (6) of the Patent Act and at common law. Relative to the previous system of 'dual litigation' whereby infringement and validity were the subject of separate proceedings from PMNOC prohibition proceedings, this case illustrates the potential streamlining and reduction of duplicative proceedings afforded by the recent amendments to the PMNOC Regulations. In Genentech, Inc v Amgen Canada Inc,135 the Federal Court set the tone regarding how courts will approach section 6.08 motions under the new regulations. Section 6.08 allows for the second person to motion the court for the dismissal of an action, in whole or in part, brought under the new right of action for a declaration of infringement, on the basis that it is redundant, scandalous, frivolous or vexatious or is otherwise an abuse of process. The Court commented on the purpose of motions under Section 6.08, explaining that they serve as a mechanism 'that permits a defendant to move to dismiss a claim or a portion thereof at a preliminary stage of a proceeding where the claim is clearly without merit'. The Court also observed that there is a heightened need for such a mechanism in a regulatory regime where an automatic stay of the regulatory approval process is engaged as soon as an action for a declaration of infringement is commenced, without any assessment of the merits of the patent infringement claim. The Court concluded that the defendant's Section 6.08 motion should be allowed to proceed without awaiting completion of the examination for discovery process. As referenced above, the Patent Act was amended to add a new CSP regime that provides additional protection for a new drug after the expiry of the relevant patent. The term of the CSP is calculated by subtracting five years from the difference between the filing date of the application for the patent and the day on which the NOC is issued, up to a maximum of two years. To be 'eligible', a patent must be in force and include at least one claim directed to the same medicinal ingredient or combination; use of the same medicinal ingredient or combination; or the same medicinal ingredient, or combination, as produced by a defined process (product-by-process). Therefore, pure process patents and patents claiming formulations are not eligible for a CSP. The CSP application must be filed within 120 days of grant of the NOC (if the patent is granted prior to the NOC) or the grant of the patent (if the NOC is granted prior to the patent). • 12 months, in any other case. The CSP grants the same rights as the patent but only with respect to 'the making, constructing, using and selling of any drug that contains the medicinal ingredient or combination of medicinal ingredients set out in the certificate, by itself or in addition to any other medicinal ingredient'. The Patent Act also expressly provides that it is not an infringement of the CSP to make, use, or sell the medicinal ingredient for the purpose of export. Over the past year, there have been significant changes in the Canadian patent litigation landscape, reaffirming Canada as an attractive jurisdiction for patent enforcement. Further changes in the patent law in Canada are expected, in particular development of the jurisprudence in the following areas. whether there is a heightened disclosure requirement under the doctrine of sound prediction of utility. the effect of the new PMNOC Regulations, including that new proceedings will proceed by way of a full action. Development of the jurisprudence on issues relevant to the calculations of damages or defendant's profits including decisions from the Federal Court of Appeal on appeals from the Federal Court's recent monetary awards. 1 Steven B Garland is a partner, Kevin K Graham is counsel and Daniel J Hnatchuk is an associate at Smart & Biggar/Fetherstonhaugh. The assistance of Sebastian Beck-Watt and Isabelle St-Hilaire, articling students, and Bram Schwartz, summer student, Smart & Biggar/Fetherstonhaugh, in the preparation of this article is acknowledged with appreciation. 2 Patent Act, RSC 1985, c P-4, Section 42. 4 ibid., Sections 115 and 116. 5 ibid., Sections 54(1) and 54(2). 7 Federal Courts Act, RSC 1985, c F-7, Section 20. 8 Federal Courts Rules, SOR/98-106, r. 373, 374. 9 RJR-Macdonald Inc v. Canada (Attorney General),  1 SCR 311 at 334–347. 10 Ibid. at 340–342; and Cutter Ltd v. Baxter Travenol Laboratories of Canada Ltd (1980), 47 CPR (2d) 53 at 55–56 (FCA), leave to appeal to SCC refused (1980), 47 CPR (2d) 249. 11 RJR-Macdonald Inc v. Canada (Attorney General),  1 SCR 311 at 334–347. 12 Patent Act, RSC 1985, c P-4, Sections 55(1), 55(2). 13 Jay-Lor International Inc v. Penta Farm Systems Ltd, 2007 FC 358 at Paragraph 36. 14 Armstrong Cork Canada v. Domco Industries Ltd,  1 SCR 907; Signalisation de Montréal Inc v. Services de Béton Universels Ltée (1992), 46 CPR (3d) 199 (FCA), leave to appeal to SCC refused (1993), 48 CPR (3d) vi (note). 15 Patent Act, RSC 1985, c P-4, Section 60(1). 16 EI Du Pont de Nemours & Co v. Montecatini-Societa Generale Per L'Industria Mineraria E Chimica (1966), 49 CPR 209 at 212–218 (Ex Ct), aff'd (1967), 52 CPR 18 (SCC); Wakefield Properties Corp v. Teknion Furniture Systems Inc (1992), 44 CPR (3d) 474 at 476–477 (FCTD). 17 Patent Act, RSC 1985, c P-4, Sections 55.01 and 78.2. For patents issued from applications filed prior to 1 October 1989, the limitation period may be governed by the relevant legislation in the province in which the infringing activities take place. These limitation periods range from two to six years depending upon the province. If the infringing activities take place in more than one province, a six-year federal limitation period applies (Federal Courts Act, RSC 1985, c F-7, Section 39). 18 Federal Courts Rules, SOR/98-106, Rule 216. 19 Cascade Corporation v. Kinshofer GmbH, 2016 FC 1117. 20 Competition Act, RSC 1985, c C-34, Sections 52, 74.01(1). 21 Trade-marks Act, RSC 1985, c T-13, Section 7; S&S Industries Inc v. Rowell,  SCR 419. 22 See, for example, E Mishan & Sons v, Supertek, 2016 FC 986 and Excalibre Oil Tools Ltd v. Advantage Products Inc, 2016 FC 1279. 23 Genencor International Inc v. Canada (Commissioner of Patents), 2007 FCA 129 at Paragraphs 6–8, 55 CPR (4th) 378, leave to appeal to SCC refused,  SCCA No 272. 24 Patent Act, RSC 1985, c P-4, Section 48.2. 25 ibid., Sections 48.2 and 48.3(2). 28 ibid., Section 48.5; Genencor International Inc v. Canada (Commissioner of Patents), 2008 FC 608 at Paragraph 48; Newco Tank Corp v. Canada (Attorney General), 2015 FCA 47 at Paragraph 12. 29 Genencor International Inc v. Canada (Commissioner of Patents), 2006 FC 1021, aff'd 2007 FCA 129, leave to appeal to SCC refused,  SCCA No 272. 30 Patent Act, RSC 1985, c P-4, Section 65. 32 ibid., s. 65(2); and Torpharm Inc v. Canada (Commissioner of Patents), 2004 FC 673 at Paragraph 38; but see Torpharm Inc v. Merck & Co (2000), 9 CPR (4th) 520 at 539 (Pat App Bd). 33 Free World Trust v. Électro Santé Inc, 2000 SCC 66 at Paragraph 33. 34 Whirlpool Corp v. Camco Inc, 2000 SCC 67 at Paragraphs 42–50. 35 ibid. at Paragraphs 45–48. 36 ibid. at Paragraphs 48–49. 37 Mobil Oil Corp v. Hercules Canada Inc (1994), 57 CPR (3d) 488 at 494 (FCTD), rev'd in part (1995), 63 CPR (3d) 473 (FCA), leave to appeal SCC refused (1996), 66 CPR (3d) vi. 38 Free World Trust v. Électro Santé Inc, 2000 SCC 66 at Paragraphs 64 and 66. However, recently several Federal Court decisions have drawn a distinction between statements or admissions made in the course of patent prosecution and a change to a claim as a result of an objection from CIPO, which was characterised as an objective fact that can be properly considered when construing a claim. See: Distrimedic v. Dispill, 2013 FC 1043 at Paragraphs 209–210; Eli Lilly Canada Inc v. Mylan Pharmaceuticals ULC, 2015 FC 125 at Paragraph 154. It remains to be seen whether this approach will be approved by the Federal Court of Appeal or Supreme Court of Canada. 39 Patent Act, RSC 1985, c P-4, Section 42. 40 HG Fox, The Canadian Law and Practice Relating to Letters Patent for Inventions 349 (4th ed The Carswell Co. Ltd. 1969); Monsanto Canada Inc v. Schmeiser, 2004 SCC 34 at Paragraphs 30–58. 41 Free World Trust v. Électro Santé Inc, 2000 SCC 66 at Paragraphs 55–56; Halford v. Seed Hawk Inc, 2006 FCA 275 at Paragraphs 12–15. 42 Apotex Inc v. Nycomed Canada Inc, 2011 FC 1441 at Paragraphs 18–27, aff'd 2012 FCA 195. 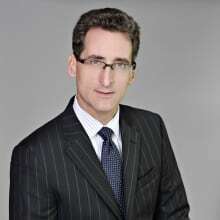 43 AB Hassle v. Canada (Minister of National Health and Welfare), 2002 FCA 421 at Paragraph 17, leave to appeal to SCC refused  SCCA No 531; MacLennan v. Gilbert Inc, 2008 FCA 35 at Paragraph 13; Weatherford Canada Ltd v. Corlac Inc, 2011 FCA 228 at Paragraph 162, leave to appeal to SCC refused, 34459 (29 March 2012). However, the inducer is not required to have knowledge of the patent to be liable for inducing infringement, see Bauer Hockey Corp v. Easton Sports Canada Inc, 2010 FC 361 at Paragraphs 197–203, aff'd without comment on this issue 2011 FCA 83. 44 Mentmore Manufacturing Co v. National Merchandise Manufacturing Co Inc (1978), 40 CPR (2d) 164 at 174 (FCA); Monsanto Canada Inc v. Schmeiser, 2001 FCT 256 at 248 (FCTD), aff'd 2002 FCA 309, appeal allowed in part 2004 SCC 34. 45 Halford v. Seed Hawk Inc, 2004 FC 88 at Paragraphs 324–332, rev'd 2006 FCA 275 (but aff'd on this issue at Paragraphs 54–55). 46 Patent Act, RSC 1985, c P-4, Section 2. 47 ibid., Section 27(8); Riello Canadian Inc v. Lambert (1986), 9 CPR (3d) 324 at 338 (FCTD). 48 Calgon Carbon Corp v. North Bay (City), 2005 FCA 410 at Paragraphs 9–19, leave to appeal to SCC refused, 31306 (30 March 2006). 49 'Canadian filing date' is the date a Canadian patent application was filed with the Canadian Patent Office or the date of filing a PCT patent application. 50 Patent Act, RSC 1985, c P-4, Section 28.2. 51 671905 Alberta Inc v. Q'Max Solutions Inc, 2003 FCA 241 at Paragraph 43. 52 Almecon Industries Ltd v. Nutron Manufacturing Ltd (1996), 65 CPR (3d) 417 at 429–430 (FCTD), aff'd (1997), 72 CPR (3d) 397 (FCA); Hi-Qual Manufacturing Ltd v. Rea's Welding & Steel Supplies Ltd (1994), 55 CPR (3d) 224 at 237 (FCTD), aff'd (1995), 61 CPR (3d) 270 (FCA); Free World Trust v. Électro Santé Inc, 2000 SCC 66 at Paragraph 25. 53 Sanofi-Synthelabo Canada Inc v. Apotex Inc, 2008 SCC 61 at Paragraphs 23–30; Abbott Laboratories v. Canada (Minister of Health), 2008 FC 1359 at Paragraph 75, aff'd 2009 FCA 94. 54 Sanofi-Synthelabo Canada Inc v. Apotex Inc, 2008 SCC 61 at Paragraphs 26–27. 55 Windsurfing International Inc v. Tabur Marine (Great Britain) Ltd (1984),  RPC 59 (Eng CA). 56 Sanofi-Synthelabo Canada Inc v. Apotex Inc, 2008 SCC 61 at Paragraph 67. 57 ibid. at Paragraphs 67–68. 58 Pfizer Canada Inc v. Apotex Inc, 2009 FCA 8 at Paragraphs 22–29; Eli Lilly Canada Inc v. Mylan Pharmaceuticals ULC, 2015 FCA 286 at Paragraph 4. 59 Patent Act, RSC 1985, c P-4, Section 2 (invention); Apotex v. Wellcome Foundation Ltd, 2002 SCC 77 at Paragraph 56. 60 AstraZeneca Canada Inc v. Apotex Inc, 2017 SCC 36 at Paragraph 55. 61 ibid. at Paragraph 54. 62 Apotex v. Wellcome Foundation Ltd, ۲۰۰۲ SCC ۷۷ at Paragraphs ۵۱–۵۶; Aventis Pharma v. Apotex Inc, ۲۰۰۵ FC ۱۲۸۳ at Paragraphs ۸۲–۸۳, aff'd ۲۰۰۶ FCA ۶۴ at Paragraphs ۲۶–۳۵, leave to appeal to SCC refused,  SCCA No. ۱۳۶; GD Searle & Co v. Novopharm Limited, ۲۰۰۷ FC ۸۱ at Paragraph ۱۰۲, rev'd on other grounds ۲۰۰۷ FCA ۱۷۳, leave to appeal to SCC refused,  SCCA No. ۳۴۰. 63 Apotex Inc v. Wellcome Foundation Ltd, 2002 SCC 77 (SCC) at Paragraph 70. 64 Pfizer Canada Inc v. Novopharm Ltd, ۲۰۱۲ SCC ۶۰ at Paragraphs ۳۶–۴۴; AstraZeneca Canada Inc v. Apotex Inc, ۲۰۱۴ FC ۶۳۸ at Paragraphs ۱۴۱–۱۶۰; AstraZeneca Canada Inc v. Apotex Inc, ۲۰۱۷ SCC ۳۶ at Paragraph ۵۸; Eli Lilly Canada Inc v. Hospira Healthcare Corp, ۲۰۱۶ FC ۴۷ at Paragraphs ۴۶–۴۹. 65 Safe Gaming System v. Atlantic Lottery Corporation, 2018 FC 542 at Paragraph 132, citing Eli Lilly Canada Inc v. Hospira Health Care Corporation, 2016 FC 47 at Paragraphs 46-49, and Eurocopter v. Bell Helicopter Textron Canada Ltée, 2013 FCA 219 at Paragraphs 152-154. 66 Laboratoires Servier v. Apotex Inc, 2008 FC 825 at Paragraph 270, aff'd 2009 FCA 222, leave to appeal to SCC refused,  SCCA No 403; Consolboard Inc v. MacMillan Bloedel (Saskatchewan) Ltd,  1 SCR 504 at 160–161; Sanofi-Aventis v. Apotex Inc, 2013 FCA 186 at Paragraphs 47–49. 67 AstraZeneca Canada Inc v. Apotex Inc, 2017 SCC 36; Bristol-Myers Squibb Canada Co v Apotex Inc, 2017 FCA 190. 68 Pharmascience Inc v. Sanofi-Aventis Canada Inc, 2006 FCA 229 at Paragraphs 67–73, leave to appeal to SCC refused. 69 Commissioner of Patents v. Farbwerke Hoechst A/G,  SCR 49 at Paragraph 13; Whirlpool Corp v. Camco Inc, 2000 SCC 67 at Paragraphs 63–75; Pharmascience Inc v. Sanofi-Aventis Canada Inc, 2006 FCA 229 at Paragraph 68, leave to appeal to SCC refused,  SCCA No. 362; Mylan Pharmaceuticals ULC v. Eli Lilly Canada Inc, 2016 FCA 119 at Paragraphs 27 to 29. 70 Consolboard Inc v. MacMillian Bloedel (Saskatchewan) Ltd,  1 SCR 504; Pioneer Hi-Bred Ltd v. Canada (Commissioner of Patents),  1 SCR 1623; Mobil Oil Corp v. Hercules Canada Inc (1995), 63 CPR (3d) 473 at 484–486 (FCA); Teva Canada Ltd v. Pfizer Canada Inc, 2012 SCC 60. 71 Mobil Oil Corp v. Hercules Canada Inc (1995), 63 CPR (3d) 473 at 483–484 (FCA). 72 Farbwerke Hoechst A/G v. Commissioner of Patents,  Ex CR 91 at 106, aff'd  SCR 604; Pfizer Canada Inc v. Apotex Inc, 2007 FCA 209 at Paragraph 115, leave to appeal to SCC refused  SCCA No. 377. 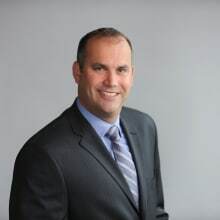 73 Dutch Industries Ltd v. Commissioner of Patents, 2001 FCT 879, appeal allowed in part 2003 FCA 121, leave to appeal to SCC refused 20 CPR (4th) vii; Johnson & Johnson Inc v. Boston Scientific Ltd, 2004 FC 1672, rev'd in light of legislative amendments regarding small entity fees 2006 FCA 195. However, Small Entity Fee Payment Legislation (Bill C-29, An Act to Amend the Patent Act, 1st Sess, 38th Parl, 2005, cl 2 (came into force 1 February 2006), RSC, c P-4) provided a one-year period from the coming into force date in which to correct an incorrectly paid small entity fee with respect to fees paid prior to the coming into force date. Effective 2 June 2007, the Patent Rules, SOR/96-423, were amended to provide the Patent Office with discretion to grant an extension of time for an applicant to pay the proper fee where the small entity fee was paid in good faith and the request for the time extension is filed without undue delay. 74 Patent Act, RSC 1985, c P-4, Section 53(1). 75 Micro Chemicals Ltd v. Smith, Kline & French Inter-American Corp (1971),  SCR 506 at 520; Merck & Co v. Apotex Inc, 2006 FC 524 at Paragraphs 159–163, rev'd on other grounds, but aff'd on this issue 2006 FCA 323 at Paragraphs 105–113, leave to appeal to SCC refused,  SCCA No. 507. 76 Patent Act, RSC 1985, c P-4, Section 55.2(1). It is uncertain as to whether this provision would be limited to the pharmaceutical patents in view of the related Patented Medicines Notice of Compliance Regulations that were introduced at the same time as Section 55.2(1). 77 Patent Act, RSC 1985, c P-4, Section 56.
c if filed on or after 1 October 1996: the relevant date = Canadian filing date (or the convention priority date, if applicable). 79 Merck & Co v. Apotex Inc (1995), 60 CPR (3d) 356 at 364–374 (FCA), leave to appeal to SCC refused (1995), 63 CPR (3d) v. (note). 80 An expired licence will not provide a defence: Lubrizol Corp v. Imperial Oil Ltd (1990), 33 CPR (3d) 1 (FCTD) at 10, rev'd on other grounds, but aff'd on this issue (1992), 45 CPR (3d) 1 at 3 (FCA). 81 Canadian Marconi Co v. Nordmende Pheonix Ltd (1962), 39 CPR 185 at 201; Micro Chemicals Ltd v. Rhone-Poulenc SA, (1964) 44 CPR 193 at 208, aff'd  SCR 284. 82 Eli Lilly and Co v. Novopharm Ltd,  2 SCR 129 at 363–364. 83 Competition Act, RSC 1985, c C-34. 84 Eli Lilly & Co v. Apotex Inc, 2005 FCA 361 at Paragraphs 14, 36; Eli Lilly & Co v. Marzone Chemicals Ltd (1976), 29 CPR (2d) 253 at 255 (FCTD), aff'd (1976), 29 CPR (2d) 255 (FCA); Volkswagen Canada Inc v. Access International Automotive Ltd, 2001 FCA 79 at Paragraphs 21, 26; j2 Global Communications Inc v. Protus IP Solutions Inc, 2008 FC 759 at Paragraphs 29–36, aff'd 2009 FCA 41; Eli Lilly & Co v. Apotex Inc, 2002 FCT 1007 at 371–372 (FCTD). 85 Eli Lilly & Co v. Apotex Inc, 2009 FC 991, 80 CPR (4th) 1, aff'd without comment on this issue 2010 FCA 240, leave to appeal to SCC refused,  SCCA No 434; Laboratoires Servier v. Apotex Inc, 2008 FC 825 at Paragraphs 463–478, aff'd 2009 FCA 222 at Paragraphs 48–50, leave to appeal to SCC refused,  SCCA No. 403. 86 Patent Act, RSC 1985, c P-4, Section 55. 88 JM Voith GmbH v. Beloit Corp (1993), 47 CPR (3d) 448 at 474–478 (FCTD), rev'd on other grounds (1997), 73 CPR (3d) 321 (FCA). 89 ConsolBoard Inc v. MacMillian Bloedel (Saskatchewan) Ltd (1982), 63 CPR (2d) 1 at 7 (FCTD), var'd (1983), 74 CPR (2d) 199 (FCA). 90 Monsanto Canada Inc v. Schmeiser, 2004 SCC 34 at Paragraph 100; Teledyne Industries Inc v. Lido Industrial Products Ltd (1982), 68 CPR (2d) 204 at 208 (FCTD). 91 Beloit Canada Ltée v. Valmet Oy (1994), 55 CPR (3d) 433 at 453–55 (FCTD) rev'd on other grounds (1995), 61 CPR (3d) 271, leave to appeal to SCC refused (1996), 64 CPR (3d) vi; Merck & Co v. Apotex Inc, 2006 FC 524 at Paragraph 229, rev'd on other grounds, but aff'd on this issue 2006 FCA 323 at Paragraphs 127–1331, leave to appeal to SCC refused,  SCCA No. 507. 92 Patent Act, RSC 1985, c P-4, Sections 10, 55(1), 55(2). 93 Jay-Lor International Inc v. Penta Farm Systems Ltd, 2007 FC 358 at Paragraphs 120–123. 94 Whiten v. Pilot Insurance Co, 2002 SCC 18 at Paragraph 94; Dimplex North America Ltd v. CFM Corp, 2006 FC 586 at Paragraph 121, aff'd 2007 FCA 278; Eurocopter v. Bell Helicopter Textron Canada Limitée, 2013 FCA 219 at Paragraph 163. 95 Dimplex North America Ltd v. CFM Corp, 2006 FC 586 at Paragraph 132, aff'd 2007 FCA 278. 96 Merck & Co v. Apotex Inc (2000), 5 CPR (4th) 1 at 22 (FCTD), rev'd on other grounds 2003 FCA 234, leave to appeal to SCC refused,  SCCA No 366; Patent Act, RSC 1985, c P-4, Section 57. 97 Eurocopter v. Bell Helicopter Textron Canada Ltd, 2012 FC 113 at Paragraph 397, 100 CPR (4th) 87, aff'd on other grounds 2013 FCA 219. 98 Baxter Travenol Laboratories of Canada Ltd v. Cutter (Canada) Ltd (1983), 68 CPR (2d) 179 at 200 (FCA) leave to appeal to SCC refused (1983), 72 CPR (2d) 287; Merck & Co v. Apotex Inc, 2006 FCA 323 at Paragraphs 117–124, leave to appeal to SCC refused  SCCA No. 507. 99 Patent Act, RSC 1985, c P-4, Section 60(2). 100 The contribution of Nancy Pei, partner, and Urszula Wojtyra, associate, at Smart & Biggar/Fetherstonhaugh in co-authoring this section is acknowledged with appreciation. 101 Food and Drugs Act, RSC 1985, c F-27 and Food and Drug Regulations, CRC, c 870. 102 Patented Medicines (Notice of Compliance) Regulations, SOR/93-133, as amended. 108 The amendments to the PMNOC Regulations came into force on 21 September 2017. The new PMNOC Regulations apply to any matter relating to a notice of allegation served on a first person on or after that day. Any matter relating to a notice of allegation served prior to 21 September 2017 is governed by the former regulations. 109 Patented Medicines (Notice of Compliance) Regulations, SOR/93-133, as amended, Section 6. 113 ibid., Sections 7(5)(b), 7(6) and 8(4). 114 Patent Act, RSC 1985, c P-4, Section 75. 117 AstraZeneca Canada Inc v. Apotex Inc, 2017 SCC 36 [Esomeprazole]. 118 Laboratoires Servier v. Apotex Inc, 2008 FC 825 at Paragraph 270, aff'd 2009 FCA 222, leave to appeal to SCC refused,  SCCA No 403; Consolboard Inc v. MacMillan Bloedel (Saskatchewan) Ltd,  1 SCR 504 at 160–161; Sanofi-Aventis v. Apotex Inc, 2013 FCA 186 at Paragraphs 47–49. 119 Bristol-Myers Squibb Canada Co v. Apotex Inc, 2017 FCA 190. 120 Bristol-Myers Squibb Canada Co v. Apotex Inc, 2017 FC 296 at Paragraph 112. 121 See, for example, Regents of the University of California v. I-MED Pharma Inc, 2018 FC 164 at Paragraphs 95–200; Hospira Healthcare Corporation v. Kennedy Trust for Rheumatology Research, 2018 FC 259 at Paragraphs . 122 Pfizer Canada Inc v. Apotex Inc, 2017 FC 774 at Paragraph 363; Hospira Healthcare Corporation v. Kennedy Trust for Rheumatology Research, 2018 FC 259 at Paragraph 258. 123 Ciba Specialty Chemicals Water Treatments Limited v. SNF Inc, 2017 CAF 225, leave to appeal to SCC refused, 37915 (16 January 2018). 124 The inexact summary first appeared in Eli Lilly Canada Inc v. Mylan Pharmaceuticals ULC, 2015 FC 125, and was relied upon by the Federal Court in Ciba Specialty Chemicals Water Treatments Limited v. SNF Inc, 2015 FC 997. 125 See also Mylan Pharmaceuticals ULC v. Eli Lilly Canada Inc, 2016 FCA 119 at Paragraphs; MIPS AB v. Bauer Hockey Ltd, 2018 FC 485 at Paragraph 121. 126 Apotex Inc v Shire LLC, 2017 FC 831. 127 Sanofi-Synthelabo Canada Inc v. Apotex Inc, 2008 SCC 61. 128 Janssen Inc v. Teva Canada Ltd, 2018 FCA 33, dismissing the appeal from 2016 FC 593.
d the claim must be one in respect of a use in Canada and not elsewhere in the corporate chain. 130 Dow Chemical Company v. Nova Chemicals Corporation, 2017 FC 350 and Dow Chemical Company v. Nova Chemicals Corporation, 2017 FC 637. 131 Currency Act, RSC, 1985, c C-52. 132 The contribution of Nancy Pei, partner, and Urszula Wojtyra, associate, Smart & Biggar/Fetherstonhaugh, in co-authoring this section is acknowledged with appreciation. 133 The amendments to the PMNOC Regulations came into force on 21 September 2017. The new PMNOC Regulations apply to any matter relating to a notice of allegation served on a first person on or after that day. Any matter relating to a notice of allegation served prior to 21 September 2017 is governed by the former regulations. 134 Apotex Inc v. Shire LLC, 2018 FC 637. 135 Genentech, Inc v. Amgen Canada Inc, 2017 FC 1023.
e any combination of the variations set out in bullets a to d above. 137 Register of Certificates of Supplementary Protection and Applications: https://www.canada.ca/en/health-canada/services/drugs-health-products/drug-products/applications-submissions/guidance-documents/register-certificates.html#a1.